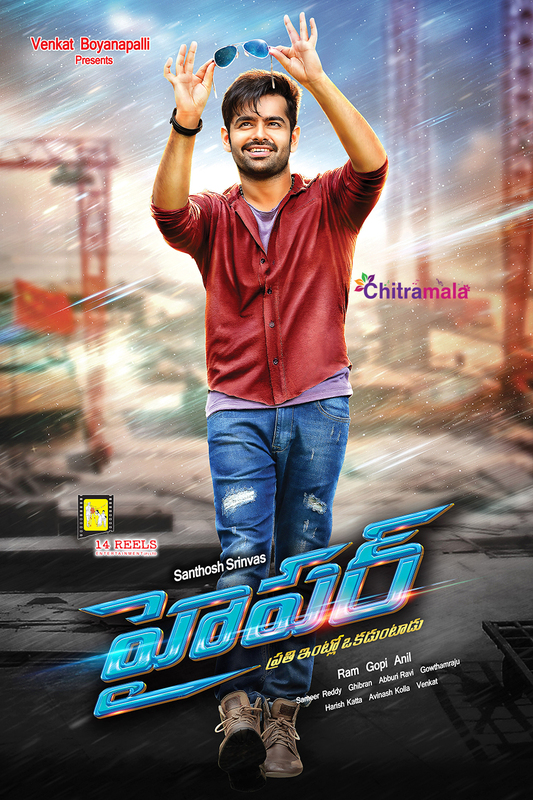 Here is the young and energetic hero Ram’s Hyper movie first look poster. The film is being directed by Santosh Srinivas od Kandireega fame and actress Rashi Khanna is playing the female lead role. 14 Reels banner is producing the film and Ghibran is providing the music. Hyper movie is Ram’s 14th movie and it has a tagline “Prati Intlo Okadu Untadu”. The filmmakers are planning to release the movie on September 30th.